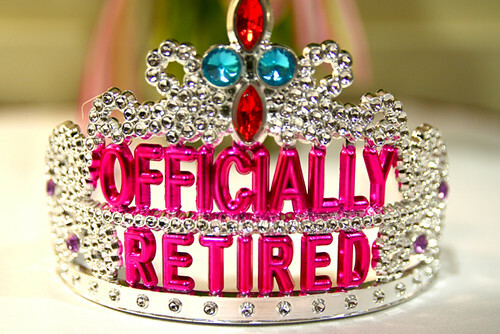 For many seniors, retiring is an exciting prospect. However, financing your retirement can be a serious challenge. Although some individuals feel comfortable relying entirely on Social Security benefits in retirement, that may not be enough to fund your lifestyle, or you may not want to trust this option entirely. If you are looking into ways to finance your own retirement, then consider supplementing Social Security benefits with an alternative or two. Here are five ways to guarantee your retirement and live comfortably. An annuity is a large financial purchase that guarantees regular payments for life. Many elderly individuals are interested in annuities as a way to receive certain payments over decades. This eliminates the need for long term budgeting, and allows individuals to spend their allotted money each month with the guarantee that there will be a check coming the following month. An annuity needs to be purchased outright and can often be expensive initially, but it is a great choice for seniors without a pension or without adequate payments from Social Security. Currently, more than half of retirees live on their pension plans. This is a regular payment provided by the company or companies where you worked for over multiple years. While it is a great choice for some individuals, today’s workers move from company to company more often and may not have the same dependence on pension plans as the previous generations did. Many retired individuals believe that their home will be their retirement fund. If a large home is paid off in full, for example, it can be used as collateral for loans or even a reverse mortgage. Of course, if large sums of money are needed, the home could also be sold outright. If you own a home, you may want to factor home equity into the equation. Keep in mind, however, that this retirement plan will not work if you want to leave your home to family members. Many retirees have saved over the course of their lives in order to have retirement accounts available at a certain age. The most common of these is the 401K, an account where your employer matches your contributions to retirement. Increasingly, working individuals are relying on their own retirement accounts rather than traditional pension plans managed by their companies. These retirement accounts are more personally managed, giving you the freedom to save as much or as little as you deem necessary for retirement. Retired seniors may be interested in taking out a secured loan to help them in their retirement. In a secured loan, the borrower pledges an asset as collateral to the lender, thereby securing the debt. Many retirees can use their pension as collateral for a loan when they are in need of quick cash. In order to guarantee your retirement, financial plans are important. These five finance options are all great ways to afford your retirement. Victor Herb is a freelance blogger who writes about retirement plans on behalf of Net Loans, a company that provides both secured loans and homeowner loans.